Q: How long did it take to get here? When did you leave home? Q: How has the weak economy affected your hometown? Q: Where would you take a foreign visitor in your hometown? Q: What is the difference between your hometown and Tokyo? Q: Have you traveled overseas? Q: What did you do when you lived overseas? Q: How is that place different from Japan? Q: Have you eaten lunch? What did you have for lunch? Q: What do you plan to do right after this exam? Q: How do you commute to work? Q: What is ikebana? Is it still popular? Q: What is origami? How do you do it? Q: What is furoshiki? Is it still popular? Q: How would you introduce sukiyaki to foreign visitors? Q: What is karaoke? Why is it popular? Q: What is kendo? Is it popular? Q: How is karate different from judo? Q: What is ochugen and oseibo? What kind of gifts do you usually send? Q: What is bonsai? How is it done? But why do you make the tree small? Q: Why is it that few Japanese wear kimono these days in Japan? How about you? How often do you wear Kimono? Just once? So you're not a traditional Japanese woman, are you? Q: What shoes do people wear when they wear Kimono? I wore those before, but they're uncomfortable, aren't they? Q: Why do Japanese people often speak very indirectly? Q: Why does it take so long for decisions to be made in Japan? Q: Please tell me about drinking etiquette in Japan? Q: Why are the numbers 4 and 9 considered unlucky? Q: Why do Japanese people often ask me about my blood type? Q: My blood type is O. What do you think of my character? Q: What about the Chinese zodiac? What do you think about that? Q: What do you think about the Japanese economy? Q: Will Koizumi be able to improve the economy? Q: What should be done about the high unemployment rate? Q: What do you think about the falling land prices in Japan? Q: What do you think about the situation for working women? Q: Should Japan change its immigration policy? Q: How do you feel about the terrorism that occurred in the United States? Q: Do you think the United States will retaliate? Q: What do you think about the use of loan words in Japan? Q: Do loan words have the same meaning as the original English words? Q: Young people have a lot of money to spend on clothes and travel. How come they can afford it? Q: What do you think about "parasite singles"? What do your parents think about them? Q: What do you think about the IT revolution? Q: What do you think about Japan and South Korea co-hosting the World Cup Soccer Tournament? Q: What do you think about the Japanese baseball players who are playing overseas? Q: What do you think about Beijing hosting the 2008 Olympic Games? Q: What do you think about Japan's relations with other Asian countries? Q: What do you think about the rising crime rates in Japan? Q: What do you think about young people's fashion? Q: How do you feel about teenagers having cell phones? Q: What do you think about the behavior of children these days? Q: What do you think about the scandal at the Foreign Ministry? Umm, the most recent one. Q: What do you think of the "secret fund" that was kept at the Foreign Ministry? Q: What do you think about the Foreign Minister, Makiko Tanaka? Q: What is the public opinion about the new government in Japan? Q: Why do people respect PM Koizumi? 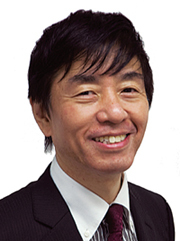 Q: Do you think Prime Minister Koizumi will be able to implement reforms in the government? Q: What do you think about Prime Minister Koizumi's proposal to privatize the post office? Q: What do you think about imports of foreign rice? Q: What do you think about the sinking of the ship, Ehime-maru? Q: Why are comic books so popular for Japanese adults?